Have FUN + Make it YOUR own & TAG me in YOUR own creative platters! Start by preparing your fruit, rinse and pat dry them. 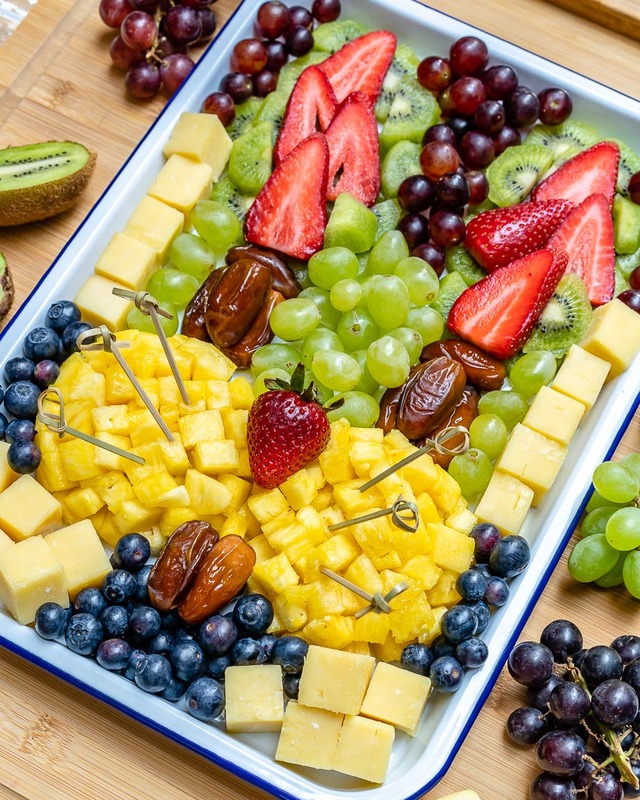 Next, strip the grapes from the vines, chop your pineapple in small pieces as shown, then slice the strawberries and kiwi. Cut the cheddar cheese into nice 1/2 inch cubes. 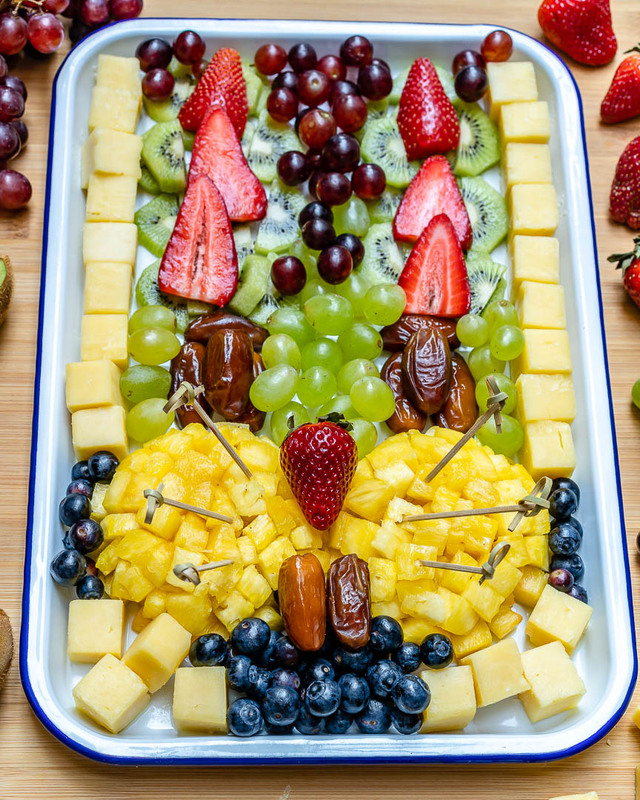 Choose a large platter/ board or a low rimmed tray and begin assembling your bunny rabbit! First, to make the bunny’s cheeks, divide the pineapple among 2 small bowls and gently press it into the bowls as shown, firmly. Place the bowls upside down into the lower third part of the platter and gently pull them off, as shown in the video. Next, make the eyes by arranging dates on top of each bunny cheek. Reserve 2 dates for the teeth. 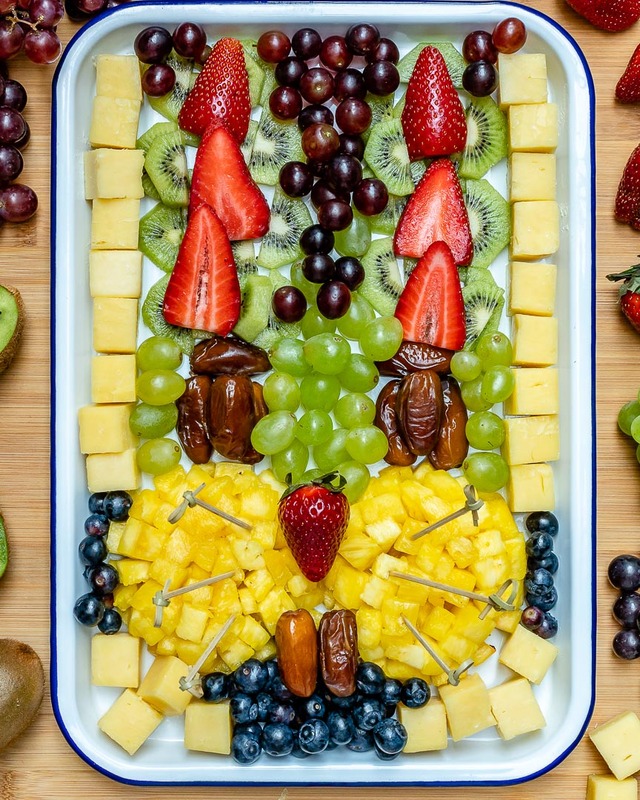 Arrange your kiwi slices in a shape that resembles bunny ears, then top them with sliced strawberries to create a bit of contrast. Fill the rest of the head with mixed grapes. 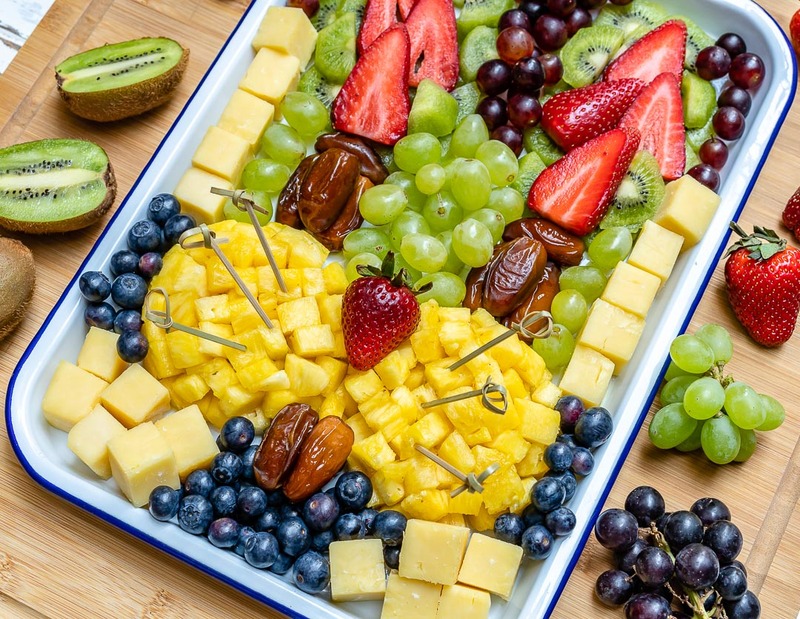 Add cheese cubes on the sides of the platter, and fill the remaining space with blueberries. Add a strawberry in place of bunny’s nose. Last but not least, to make the bunny’s cute whiskers by gently pinning appetizer toothpicks into the pineapple cheeks. Enjoy your masterpiece with your loved ones! 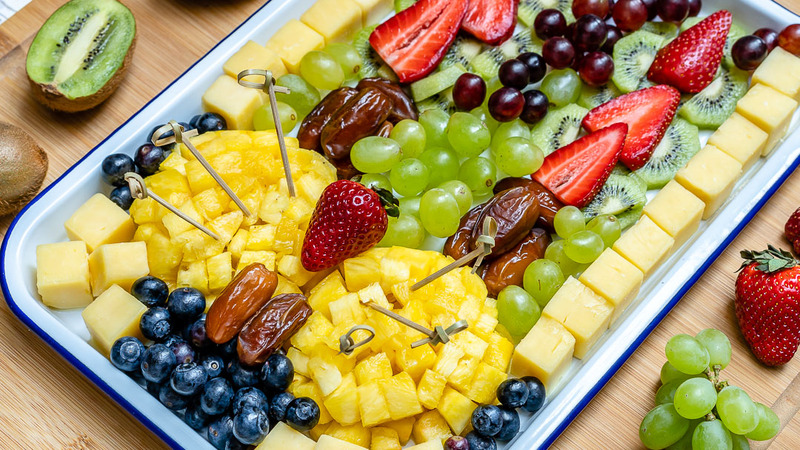 Start by preparing your fruit, rinse and pat dry them. 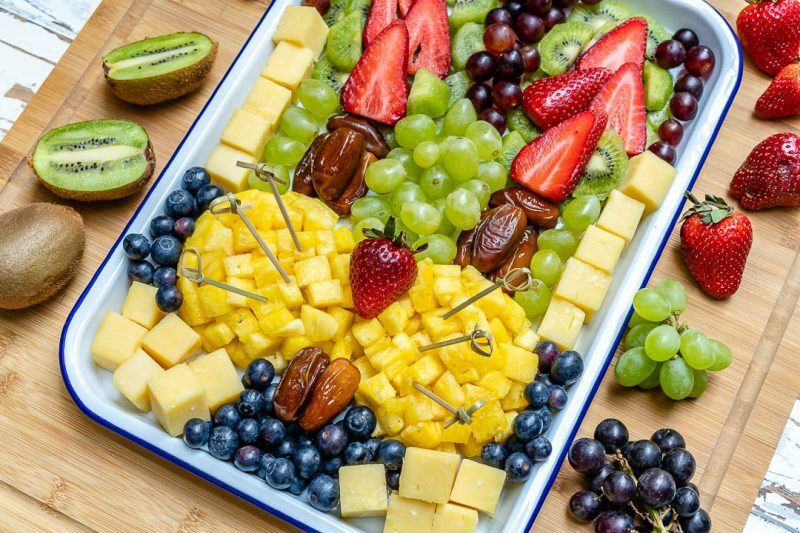 Next, strip the grapes from the vines, chop your pineapple in small pieces as shown, then slice the strawberries and kiwi. Cut the cheddar cheese into nice 1/2 inch cubes. Choose a large platter/ board or a low rimmed tray and begin assembling your bunny rabbit. First, to make the bunny's cheeks, divide the pineapple among 2 small bowls and gently press it into the bowls as shown, firmly. Place the bowls upside down into the lower third part of the platter and gently pull them off, as shown in the video. Next, make the eyes by arranging dates on top of each bunny cheek. Reserve 2 dates for the teeth. 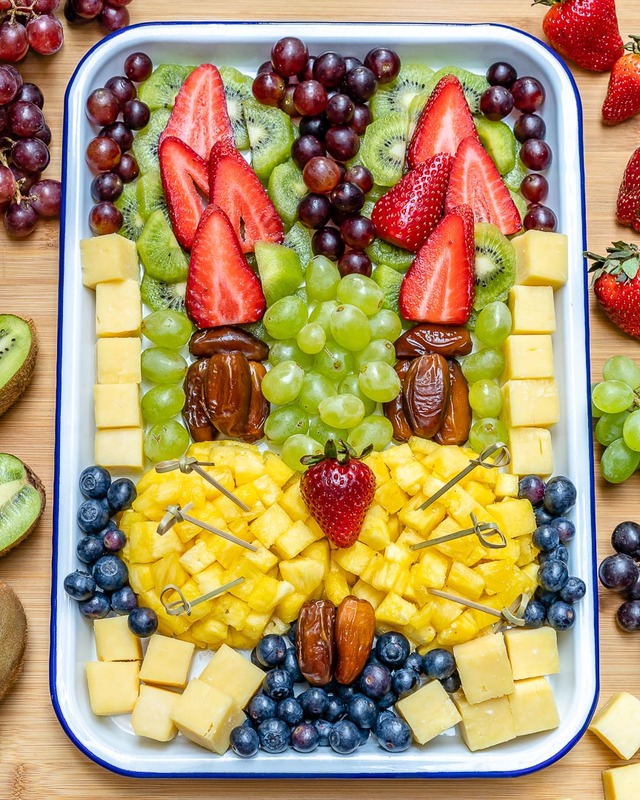 Arrange your kiwi slices in a shape that resembles bunny ears, then top them with sliced strawberries to create a bit of contrast. Fill the rest of the head with mixed grapes. 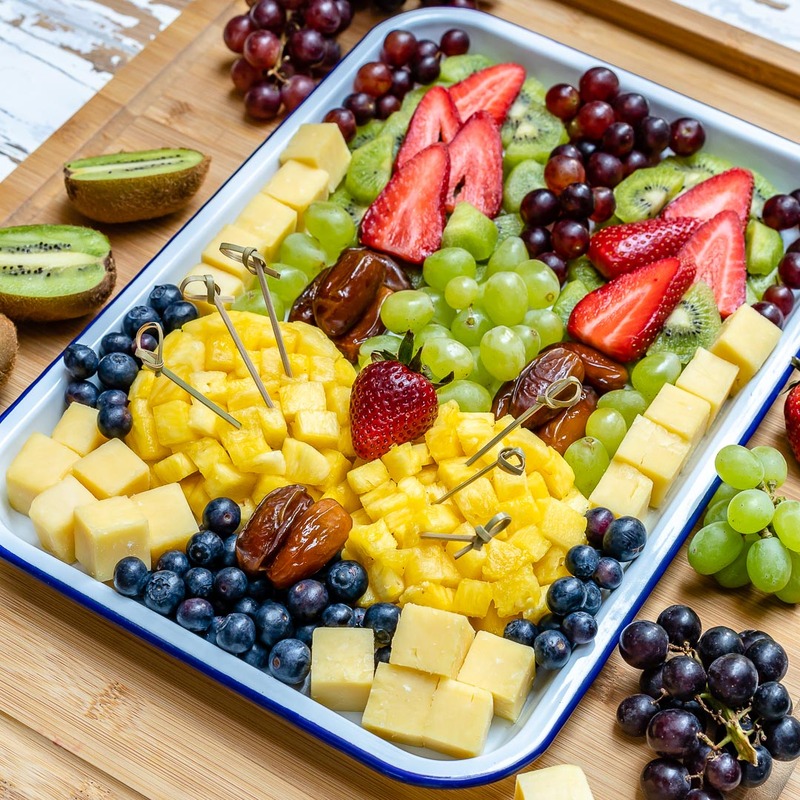 Add cheese cubes on the sides of the platter, and fill the remaining space with blueberries. Add a strawberry in place of bunny's nose. Last but not least, to make the bunny's cute whiskers by gently pinning appetizer toothpicks into the pineapple cheeks.